As Google’s mobile operating system Android evolves into a leader in the global market, the malware targeting Android devices increases. Reviewed by Pro recommends that Android users take care of their privacy and safety online, and choose a reliable and stable mobile security and antivirus. Your smartphone and tablet include your personal and sensitive information, which is extremely important to protect. G DATA Mobile Internet Security provides the protection for your Android smartphone and tablet, just as efficiently and reliably as it protects your PC. 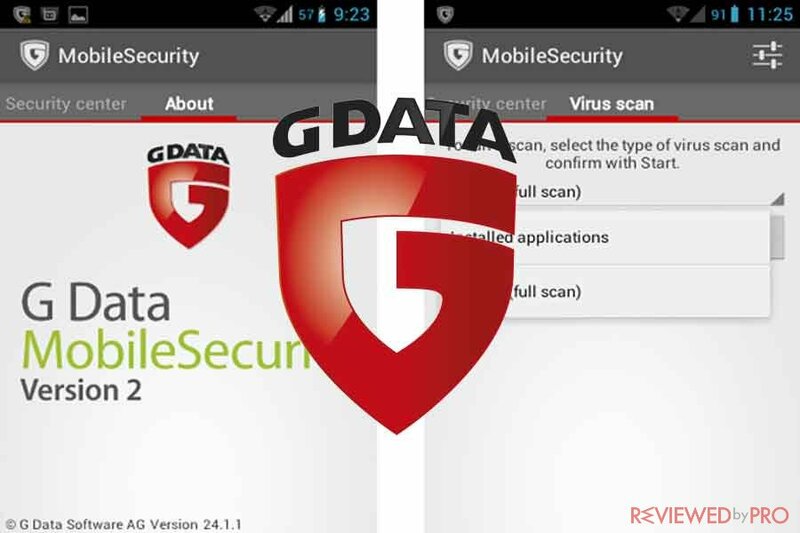 G DATA Software offers users free and paid versions of mobile security for Android devices. G DATA Internet Security Light for Android provides users with efficient and effective protection that ensures the safety of the device. The reliable malware scanner will detect malware including Trojans, viruses or spyware, check your device memory, as well as analyze the authorizations of installed applications in order to detect phishing attempts or suspicious behavior. It is worth mention that the scanner does not have any negative impact on battery life or device performance. The application is completely free but G DATA also offers its customers access to the full version of G DATA Internet security for Android for 30 days. G DATA Internet Security Light for Android will continue to protect you against suspicious and dangerous applications. The program will check for malware before and after the installation plus on-demand system and memory card scans. The antivirus application will also continue to analyze the authorizations of installed applications. A paid version of G DATA Mobile Internet Security for Android offers its customers a complete security-to-go. It does not matter whether you on a trip or using your Android device at home, you have to make sure that your private and sensitive information is secured and protected. The effective G DATA malware scanner detects and immediately purges malicious software. The malware scanner is connected to the cloud and finds and removes cyber threats from an infected smartphone or tablet. The G DATA Application control checks the authorizations of all installed apps. So, if an app requires authorizations that are not necessary or not related to its function, the user will be notified. In addition, using the app password protection feature, users are able to set a password for certain apps and only start them when they are told to do so. One you have G DATA Mobile Internet Security, you get a bouncer for your Android device. The feature block obnoxious callers and text messages senders out from your smartphone. What is more, users are able to set up white-list of VIP numbers. These numbers are exclusively allowed to contact the user. G DATA Mobile Internet Security for Android also provides a parental control feature, so users have an expert on their Android devices. Once you installed the mobile security, you also install a browser on your Android device which is appropriate for children. It includes a list of safe websites that was developed together with psychologists and social pedagogues. It gives you the ability to block inappropriate websites and modify the list according to your opinion and wishes. As a result, your child will be able to discover and browse the web in a safe and protected way. If your device gets lost or misplaced, G DATA Mobile Internet Security for Android enables you to locate and find it as soon as possible. G DATA online platform provides you with the ability to find your device within a few clicks. Before your device’s battery dies, the G DATA application transmits one last time the location of the device. As a result, consumers are available to find the device even if its powered off. G DATA represents strict German data privacy act and ensures the protection and safety of its customers’ private information and coordinates. With G DATA Mobile Internet Security, you can locate the lost or stolen device using G DATA Action Center. Users are able to block a SIM card slot if someone will try to change the SIM card on the device. The mobile security will also protect and keep your private information, including photos and text messages from an unauthorized access, and is capable to reset the device back to factory settings. Using G DATA Mobile Internet Security, you will be able to determine a time span to control for how long your children will use the mobile device. When the time has passed, the smartphone or tablet will be switched off automatically. The program also provides you a signal feature, which will help consumers to locate the misplaced phone. The signal will work even when the device is in silent mode. G DATA online platform enables consumers to locate their Android devices. G DATA Mobile Internet Security offers an advanced malware scanner. The scanner will detect and remove viruses, spyware, malware and other mobile threats. Using the program, you will be ensured that your Android devices are clean and malware-free. G DATA Mobile Internet Security for Android is a complete security solution for your device. If you are facing any kind of issue, G DATA customer support is available on a phone or via e-mail 24 hours a day, every day. The mobile security is reliable and well rated. G DATA Mobile Internet Security for Android is approved by AV-Comparatives and certified with AV-TEST certificate for Android. G DATA Mobile Internet Security for Android is available for Android devices with Android 4.0 or later. ^ G DATA Internet Security Light . Google Play. ^ Protect your mobile life with G DATA Mobile Internet Security for Android . G DATA Software. 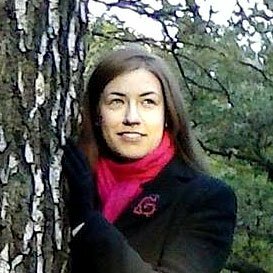 This entry was posted on 2018-01-09 at 08:45 and is filed under News.